There’s just something about Valentine’s Day that brings out the pink in me. Does it for you? 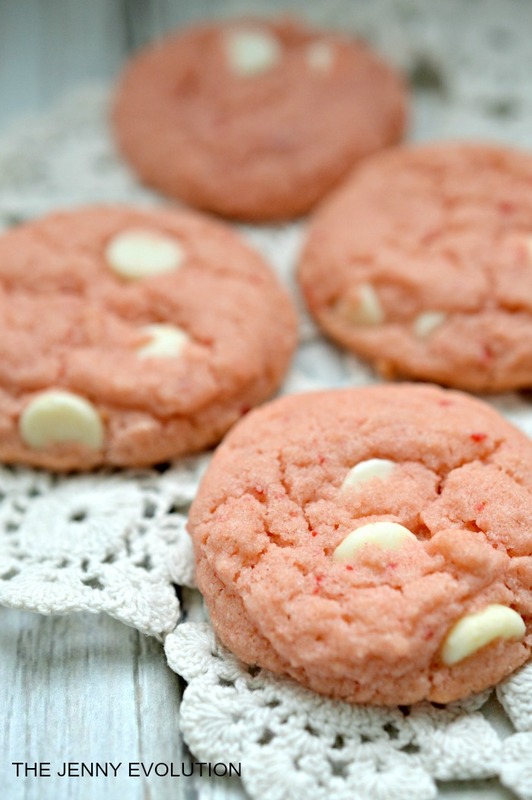 Sweets for your sweetie on Valentine’s Day! Every year, I bake a Valentine’s Day cake and let the kids go wild, covering it in whatever candies they choose. And I’ll still do that… it’s a tradition! 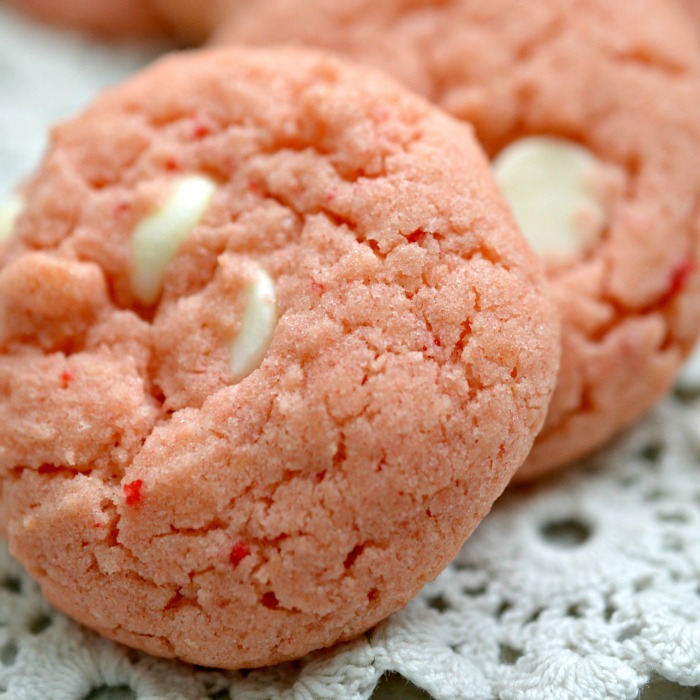 But this year, I’m going to shake things up a little bit and am offering up these pink delights, based off of a cake mix — Vanilla Cream Strawberry Cake Mix Cookies. 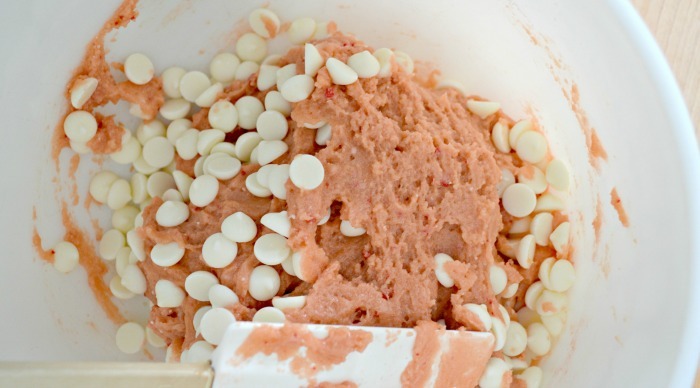 If you haven’t thought of the combo of strawberries and cookies… oh my goodness you are going to be in for a serious treat. This post contains affiliate links. 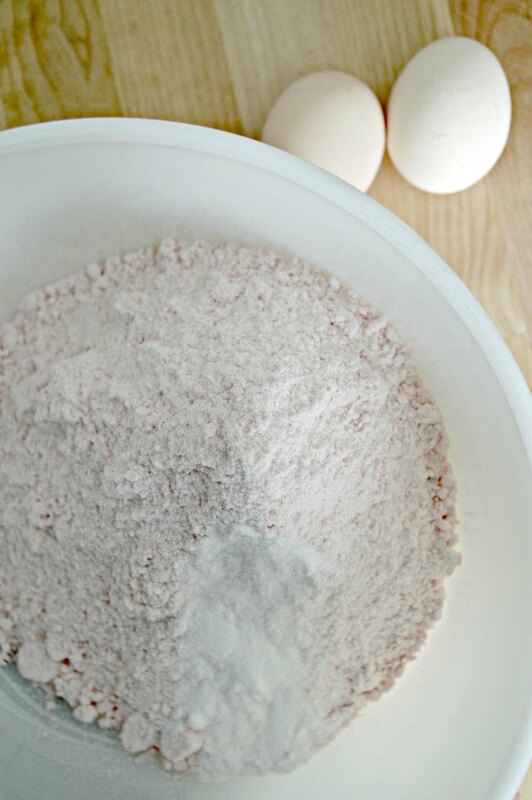 Add in the wet ingredients (eggs, vegetable oil, and vanilla). 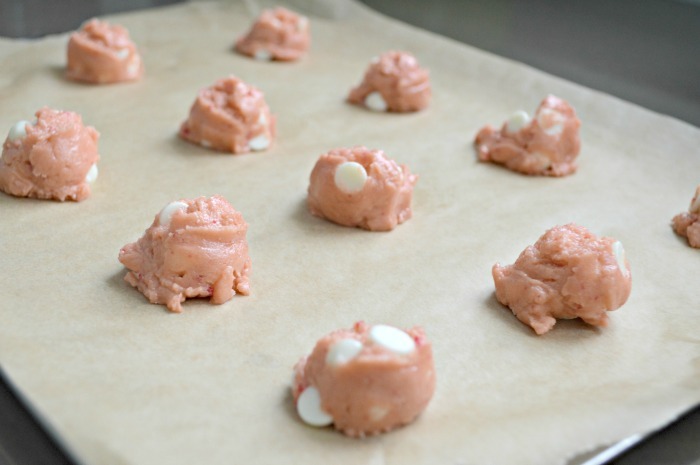 Fold in the chocolate chips last. « Free Printable Valentine Cards – Use 4 Different Ways! These look so delicious! Perfect for Valentines Day! Wow they do look so yummy, pinning it! Thank you Jennifer so much for sharing! Made these today, so yummy. Will make again. Going to try orange cake mix next time. These look delicious, and perfect for a sleepover or classroom party. Thanks for joining Sunday’s Best and sharing this yummy recipe. I’ll be Pinning it so I can make them for my grandchildren! 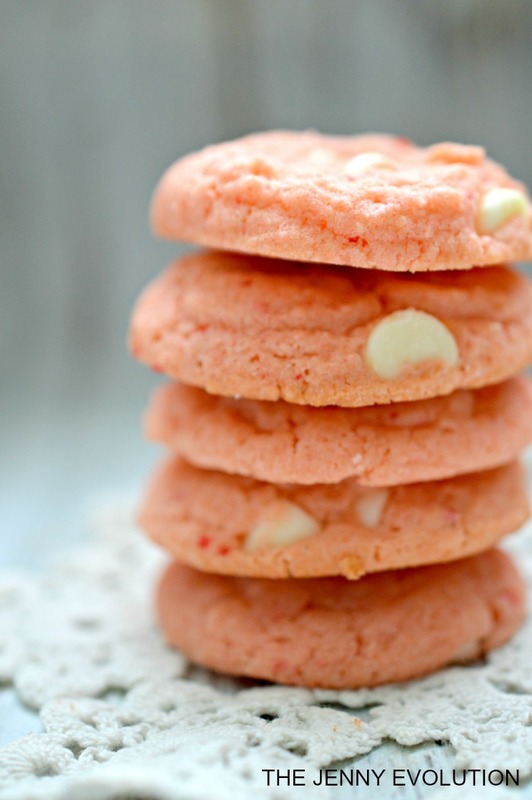 I always liked strawberry cake but I bet these cookies taste even better. Thanks for linking gup with us at #OMHGWW and hope to see you next week!